New Forest airfields during WW2 played a major role in the successful outcome. 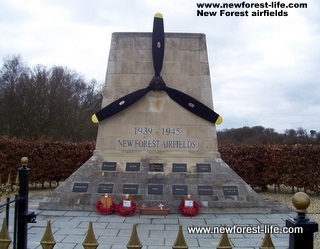 12 New Forest airfields were in existence during WW2. Some predated the outbreak of World War Two and had varying uses during wartime. I've listed them all below with their brief history. East Boldre: the first New Forest airfield opened in 1910 and used by the Royal Flying Corps during World War One - closed by the RAF in 1919. Calshot: was opened by the Royal Naval Air Service in 1913. During World War Two it was used for air-sea rescue operations. It was closed in 1961 and is now an activities centre. Christchurch: was opened in 1935 and was used during World War Two for developing Radar. A runway was added in 1943 which the 9th Air Force used to support D-Day in 1944. There was an aircraft factory next door which produced jet fighters up to 1962 and closed in 1967. Ibsley: I've been to the yearly open day here and it is really well attended. Lots of the war time buildings are still on site and so the atmosphere is quite nostalgic. It is close to Ringwood and Fordingbridge and flew R.A.F. Hurricanes and Spitfires - and has even landed one in recent years! It closed in 1947. David Niven and Leslie Howard filmed "The First of the Few" at Ibsley. There is some really good news for the future of the R.A.F. Ibsley Tower . The RAF Ibsley Airfield Heritage Trust have set up a restoration project which should see this important part of New Forest WW2 history restored to some of its former glory. Find out lots more information about R.A.F. Ibsley as it was in the past and what is left today. You will realise just how important it is to make changes for the future. Hurn: was built in 1940/41 and is just outside Bournemouth. Again in 1944 British, Canadian and U.S.A.A.F. pilots supported D-Day operations and night time defences. Today it operates as an international airfield, and as a resident of the New Forest I am extremely pleased to take off from Bournemouth rather than Heathrow! Beaulieu: opened in 1942 and because of its location provided vital coastal defences during World War Two. Again in 1944 R.A.F. and U.S.A.A.F. supported D-Day operations. It closed in 1950. 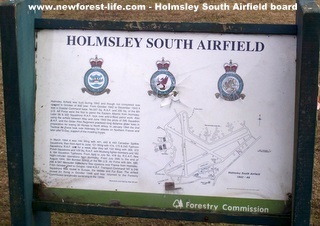 Holmsley South: opened in 1942 and was rsponsible for coastal defences on anti U-Boat patrols. Again R.A.F. and U.S.A.A.F. forces flew missions, this time over occupied France. Closed 1946. Bisterne Advanced Landing Ground: built south of Ringwood in 1943, it was used to operate 3 squadrons of P-47s for D-Day and then transferred to France in June 1944. Used by the Admiralty until 1946. Lymington Advanced Landing Ground: Like Bisterne these runways were constructed of steel tracking and used by 3 squadrons for D-Day and moved to France June 1946. Used by the Admiralty until 1946. Needs Oar Point Advanced Landing Ground: this airfield had 2 steel runways and supported 4 squadrons of R.A.F. Typhoons for the D-Day operations. It transferred to France in July 1946 and was closed in 1945. Winkton Advanced Landing Ground: built close to Bransgore in 1943; again a two track steel runway supported R.A.F. P-47s covering D-Day forces and moved to France in July 1944. It closed in 1945. 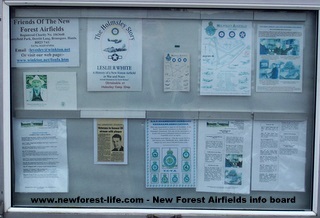 There is lots more information on Friends of the New Forest Airfields Winkton. The New Forest National Park Authority have received funding for a very exciting project called New Forest Remembers - Untold Stories of World War ll. Do you have any relatives or friends who lived, were stationed, or were evacuated to the New Forest during WW2? They would love to hear from you. This is a great chance to share your memories. Contact me for the email address if you want. Before you add your personal story on my "Best WW2 Memories" form further down the page, perhaps you'd like to read some recollections from the Winkton Friends - I'm sure you'll find Tales from New Forest Airfields absolutely fascinating. This is a lovely WW2 site. You can also visit the New Forest Winkton and R.A.F. Sopley site. Read the latest New Forest Winkton and R.A.F. Sopley Newsletter. These lovely sources of World War Two facts and information are run by John Levesley - it is well worth finding out more. 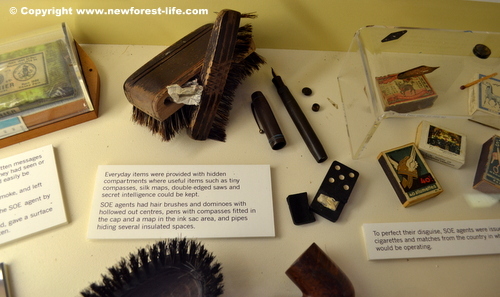 There is a beautiful gallery to view and also tales of wartime adventures - all from the New Forest. By just reading the information on the 12 New Forest airfields you can see just how much logistical planning needed to go into the D-Day operations and how the geography, location and suitability of the New Forest played such a vital role in the success of the war defence. Airfields of The New Forest by Jon Honeysett and was taken from The New Forest Guide. I've found a really great website for more details of World War Two airfields. I looked up Ibsley and found a lovely picture of the filming which took place there, which I've told you about above. If you want to find out more WW2 Airfields has lots of information for you. Are you looking for Family Tree Tips to start tracing your own family WW1 and WW2 history? Don't forget that OS Explorer 22 map!